“In short we may say that faith in Man, by the combined effect of its universality and its elemental quality, shows itself upon examination to be the general atmosphere in which the higher, more elaborated forms of faith which we all hold in one way or another may best (indeed can only) grow and come together. It is not a formula, it is the environment of union. Pierre Teilhard de Chardin. The Future of Man (Kindle Locations 2905-2913). This entry was posted in Teilhard Quote of the Week and tagged atheist, Catholic, Christian, Everything That Rises Must Converge, Flannery O'Connor, Noosphere, Omega Point, Pierre Teilhard de Chardin, teilhard, teilhard de chardin. Bookmark the permalink. You are too kind Claire :-). Hope you have a wonderful week! Thank you for the kind comments. 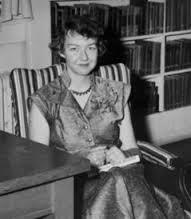 Until a few months ago, it had been 25 years since I read Flannery O’Connor and I connect with her work now in a way that I did not then. Certainly it is a sign of maturity and life’s experiences. She is an amazing writer and one of the South’s literary treasures :-). Yes, I am looking forward to Palm Sunday and Holy Week. The long winter and the late Easter coincide very nicely this year :-). Everything rests on the foundation of our faith and to this we must return and remain in God’s love. Thank you. I look forward to these quotes every week also. Thank you for the kind words Lynda. They truly mean a lot! I know several atheists that disagree. However, I know a few that became agnostic; being unsure and a few that now pray or believe that there is a loving presence in stillness of mindful meditations. As to scientific evidence, there is plenty that indicates that we can have healthy spiritual experiences of stillness/mindful loving presence and I blog about this just about every week because there are healthful techniques that anyone can use to increase well-being. Rest, diet, exercise, stress reduction and relaxation meditations are simple things that people can use to free themselves of the turmoil that generally allows people to see that they are passing up health benefits when they decline to adopt a simple acceptance that there is a peaceful energy available to them. Thank you for stopping by. I know a lot of atheists who disagree also :-). I enjoy your work and your emphasis on mindfulness. Stepping back and reflecting on meaning and purpose, as well as taking time for yourself is a message that is sorely needed in contemporary Western society. As I mentioned, I have a strong personal interest in this effort, whether it be in a spiritual context or outside of it. I especially enjoy you highlighting the work of Richard Davidson at UW-Madison, who is someone I am very familiar with :-).